It is not possible to totally delete the user from the system. But it is possible to block them or archive. 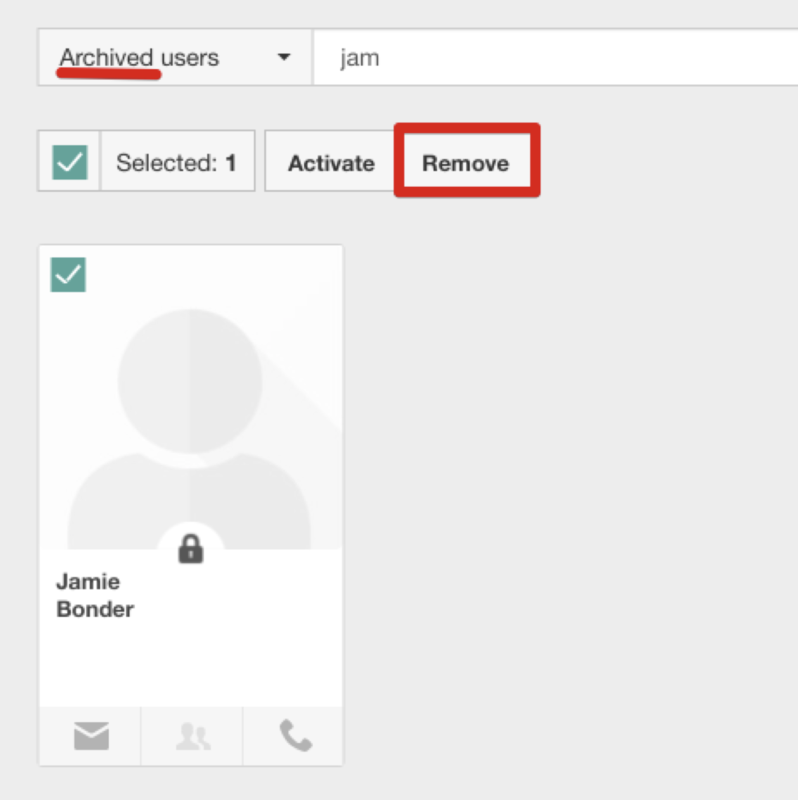 You can block user account in two ways: From user profile Go to user profile page and select BLOCK action from the dropdown list under SETTINGS button. From Gallery Same action can be performed on Gallery page, however here you can select several users at once. 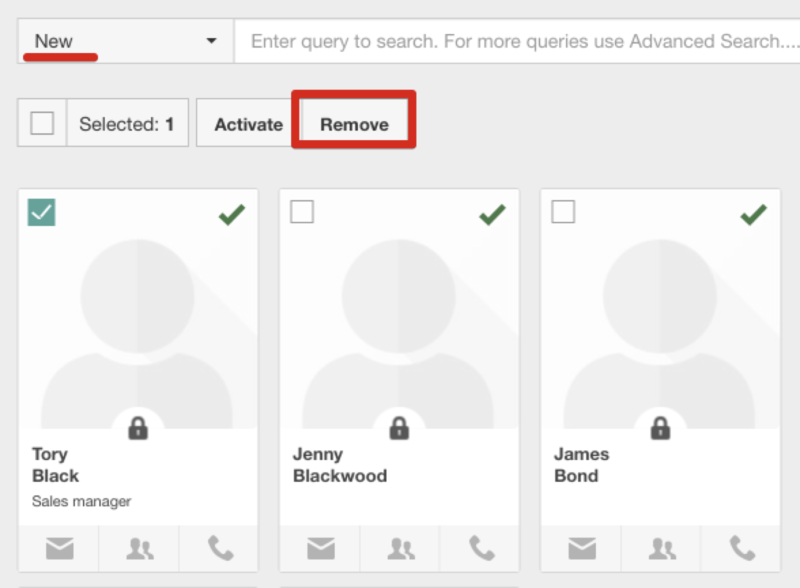 Simply choose Active status filter and tick those you need using checkboxes in the top left corner of user card. Then select BLOCK action from the list under MORE button. Upon blocking selected users will be moved to Blocked user status list, their images will be greyed out with lock icon added onto it. Upon blocking user image is greyed out and lock icon added onto it. Blocked users can be activated back at any time. Use same approach on both profile and Gallery pages for this purpose. It is not possible to totally delete the user from the system if he has any Talks, Objectives or Activities.. But it is possible to archive him. It can only be done by the Users with administrative roles. First you need to have all running activities(Talks, Objectives or Activities) closed! 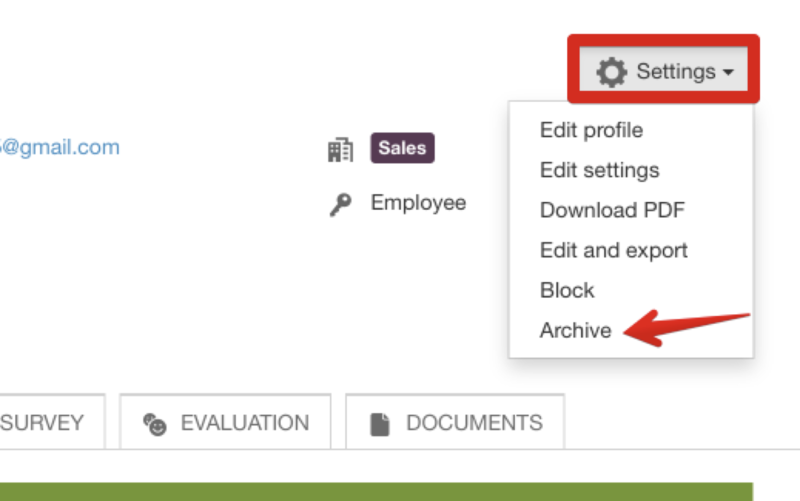 From user profile Go to user profile page and select ARCHIVE action from the dropdown list under SETTINGS button. From GallerySame action can be performed on Gallery page. 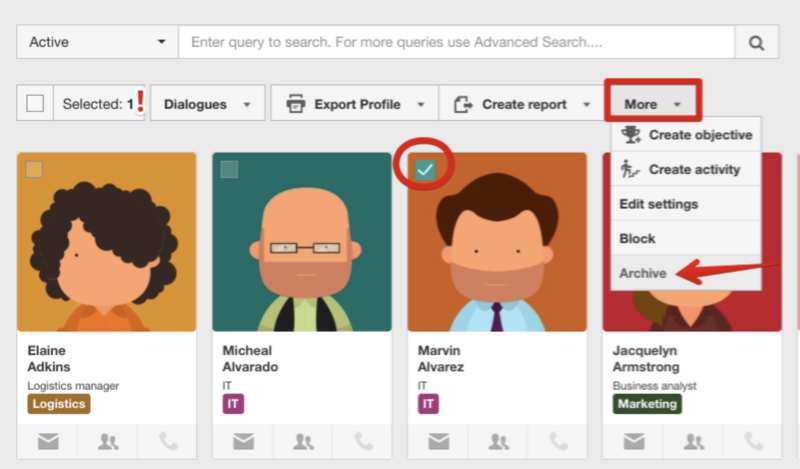 Go a Gallery page and select Active or Blocked user status filter. 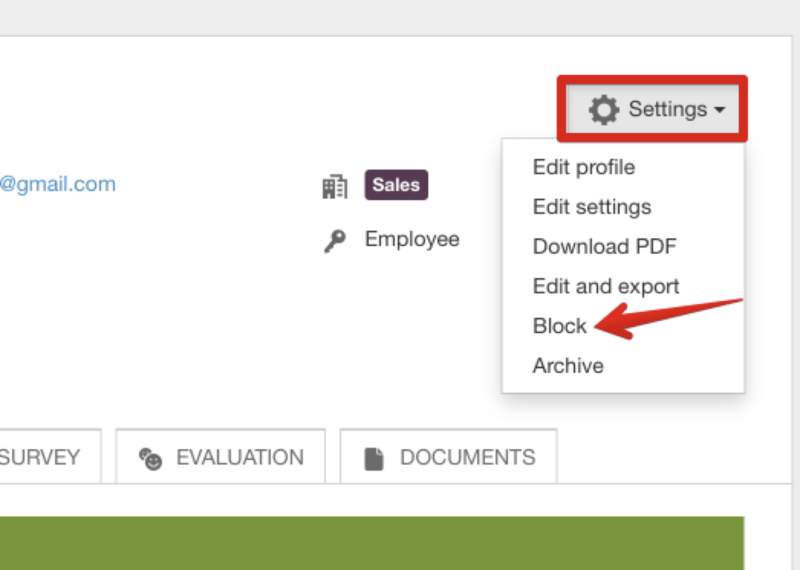 Then select ARCHIVE action from the list under MORE button. *NOTE: Here you can select only one user at at a time. If you select more than one, archive option won't be available. Upon archiving user image is greyed out and lock icon added onto it. Archived users can be activated back during 48 hours. Use same approach on both profile and Gallery pages for this purpose. New users who have not been activated yet(in case they have been created or imported by mistake or not just not needed any more). Archived users who have never had any activity in the system: no Talks, Objectives or Activities. If the user has at least something - you will get an error and his removing is impossible. 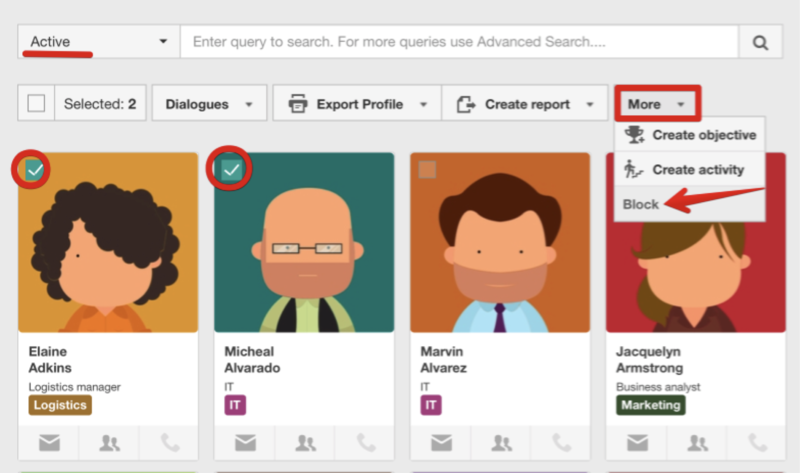 For example: Employee has running dialogues, objectives and activities. Please archive first. In all other cases the users can only be archived or blocked!